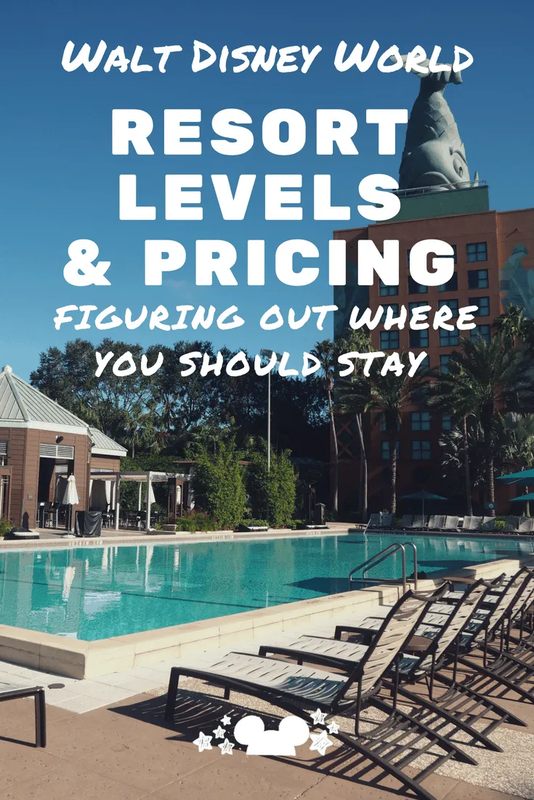 Are you trying to figure out Disney Resort Levels and Pricing so that you can make the best resort choice for your Disney vacation? The struggle is real, we totally get it. If you go too cheap you might miss out on something. But why go expensive when you’ll be in the parks all day anyway? While some of these decisions you’ll have to figure out on your own, we pulled together this quick guide so you know which resorts are in which pricing tier and what to expect at each level. As we review more resorts, we’ll be sure to update this post so you can get the details to help you make the best choices. Staying at a resort on Disney Property, no matter the cost, comes with a certain perks you can depend on. 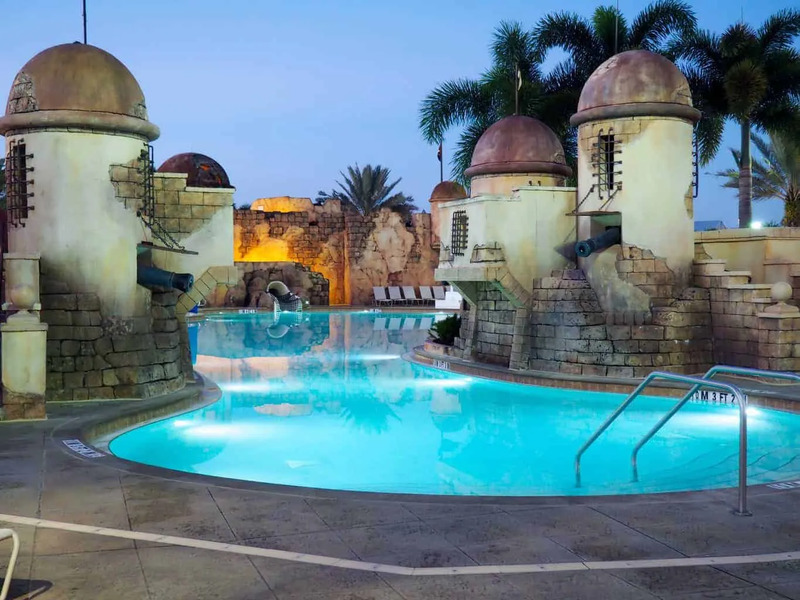 Complimentary use of the Magical Express bus transportation to and from the airport, transportation on the Disney bus system, use of the resort pool and access to the resort gift shop, cafeteria, and laundry building are all included. You also get housekeeping services and airport luggage check in with some airlines- we use Southwest for this service. And if you’re eager to get somewhere fast, all the resorts now offer the Minnie Van service. New this year you can also expect to pay for your resort parking, which is a bummer, but you do have options to not stay on site as well. Read our post here on how to avoid the resort parking fees. We’re going to share the price range for each level just so you have an idea of how these prices can fluctuate throughout the year. Believe us when we say these ranges are HUGE! It makes such a difference when you go, and how far in advance you’re booking. And if you’re wondering if your resort experience will still be magical if you only pay 120/ night for a room. Chances are it will. This quick guide is just to help you get a lay of the most magical land on earth. Value Resorts at Walt Disney World are just that, a value. 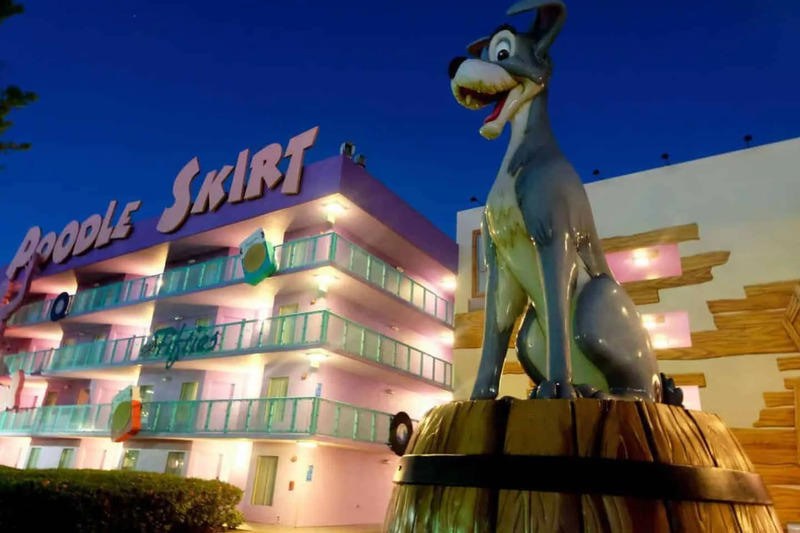 We’ve written about the All-Stars Resorts before and our very first Disney resort experience was at All Stars Music Resort, so we have some experience with these. The primary thing to consider when choosing these resorts is that everyone chooses these resorts. Everyone wants to get to Disney on the cheap. They have the largest set of busses for that reason. This means these resorts will host schools, organizations like the beauty pageant toddlers and cheerleaders and football teams. Closest to the ESPN complex, these resorts are busiest during tournaments. Needless to say the sound, atmosphere, and chaos is “more” at these resorts. But other than that the rooms are just as nice, the busses just as frequent (though packed) and the cafeteria offers decent food. In fact All-Star Movies has some of the best food, praised by Disney Dining, so you’re not missing out by going cheaper. Overall it’s a very “Disney” experience. It’s a lot to take in if you were hoping for a relaxing vacation, but if you weren’t going for relaxing these are perfect. You do however still get all the resort amenities; laundry, pools, food court, arcade, gift shop, movies on the lawn, and kids programming to keep the kids and teens occupied throughout the day. The Value Plus class of resorts are slightly higher cost per room than the All-Stars, but not by much. These resorts will still have the crowds, because they are still pretty cheap. They will also have more families, so lots of suite options at Art of animation in particular. These resorts will also house a gondola station that serves both resorts so we’re expecting price to increase at these locations simply for the convenience of using the gondola instead of the busses. Here you get access to a beautiful walking path that connects both resorts, and resort bikes to use on site. Multiple pools, laundry, movies on the lawn and just a gorgeous atmosphere make these resorts fun to stay at. Once you hit the moderate level of Disney Resorts you can expect fewer guests, pretty much no school groups, and better everything. The food in the resorts restaurants are better, the rooms nicer and the amenities more. We did however notice that since there are fewer guests, hence more relaxing, that the busses to these resorts don’t tend to run as frequently as the Value resorts do. So you may experience more waiting for the complimentary Disney busses to arrive at whatever your location. 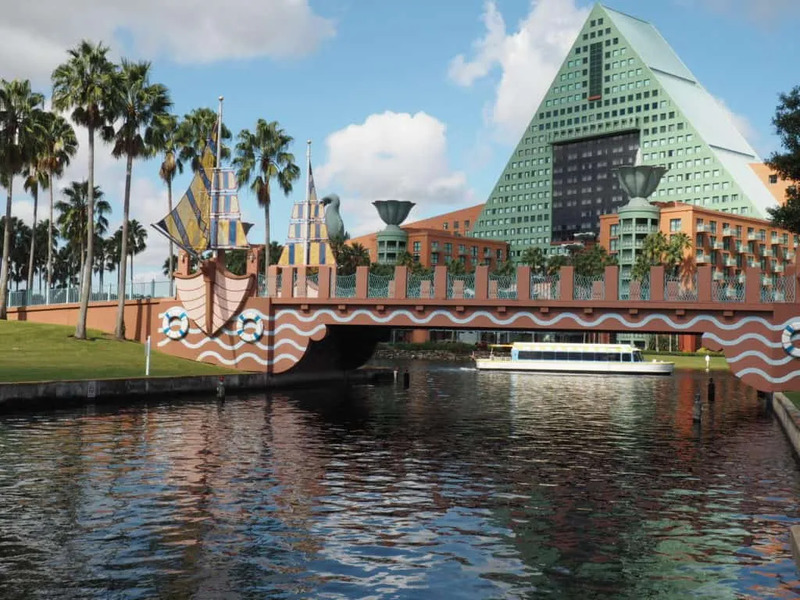 Of these, Caribbean Beach is the hub of the Gondola system and will have that as an alternate transportation option. At the deluxe resort level you have access to both Villas and Concierge Level amenities, and the higher prices for those add-ons. As Deluxe Resorts go, they are perfectly themed, house the top-tier restaurants found at Walt Disney World, and the best gift shops. They are truly “resorts” for many also having things like a spa, gym or business center, and often with additional amenities only open to those resort guests. You can also count on the movies on the lawn in the evening often including s’mores or popcorn or in the case of the Beach Club, a Chip and Dale meet and greet. 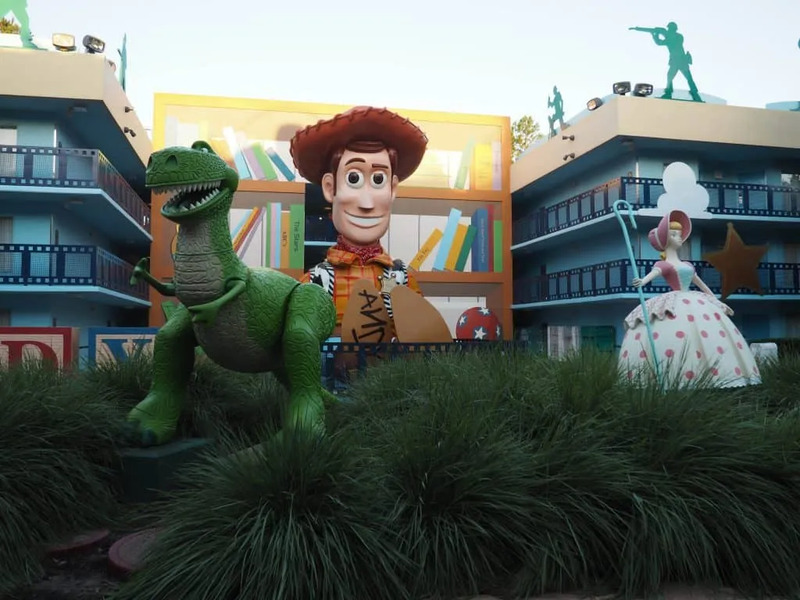 Disney Good Neighbor hotels give you the perks of staying on site like extra magic hours and shuttles to the parks, but the cost friendliness and flexibility of just a regular off-site hotel. We shop all of our hotels through hotels.com to get the best deals. For us, we really enjoy being on property so staying off site would be mostly because we’d want to go cheaper or be close to Disney Springs. No matter which resort level we stay we’ve come to love them all in their own way. When we have money we definitely aim for the moderates as a sure bet for a nice vacation experience. When it’s about location and we need to be close to Epcot and Hollywood Studios instead we head for the Dolphin. Prior to the construction at Caribbean Beach, that resort was our absolute favorite for the calm, beachy, island vibes. Post Gondola system we’ll have to try that resort again to see how it feels. Port Orleans- Riverside was an absolute dream resort for us. With super fast bus service to the parks, a boat to Disney springs and an all around calm feeling we loved it and would highly recommend it if you don’t need the overly Disney feel. If you’re tackling your first Disney vacation or your only Disney vacation and need to get the resort you choose right, feel free to reach out in the comments or via email and let us know what your big priorities are. We’ll be able to tell you which resort will match up best with your needs. Good luck with your resort choosing! Hi! We are looking to do Disney for the first time and will be travelling with 3 kids, ages 5, 3 and 4 months. We would love the disney feel, my girls are huge princess fans obviously. However, we are only planning to do Hollywood Studios on this trip, in addition to Seaworld and possibly Legoland. The reason I’m looking into staying on property is to get the feel of disney without spending everyday at the parks. 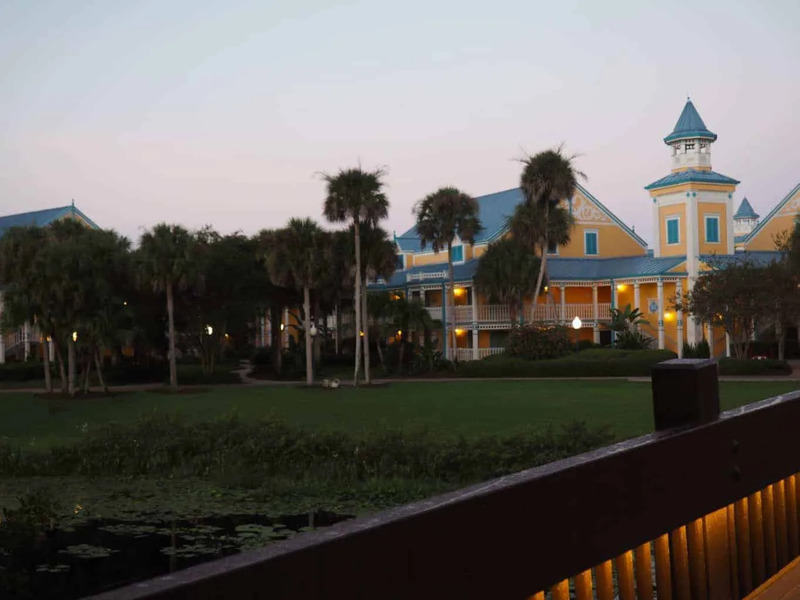 I would like to spend less than $300/night, and top priority for me are spacious rooms, easy access to Springs/Disney parks and fun stuff around the property for kids. Good food is a huge plus of course. I’m wondering if any of the properties have in room dining? Please let me know your top picks! So exciting for you! So, if you’re looking for the ultimate Disney feel, we think Art of Animation is definitely the best in terms of Disney theming and we think your girls would love it! They have family suites if you’d like more space and depending on when you’re traveling and if there is a deal going on, you could potentially find rooms at that resort in your price range. They don’t have in room dining, but have a wonderful food court that you can bring food back to your room, you can order pizza from the resort or you can use a food delivery service like grubhub as well! To get to the Parks or Disney Springs, you would just need to take a bus. Another suggestion we would have is Port Orleans Riverside, which has special princess rooms! They are an additional cost, but they usually sleep 5, so you’d have plenty of space and it should also fall in your price range. They also have bussing to the Parks and a nice boat ride to Disney Springs. Their food court is one of our favorites in terms of resorts. As of right now, the only resorts with in room dining on property will be your deluxe resorts, which wouldn’t probably give you the “Disney feel” you’re looking for and would probably be out of your price range. I hope this helps! Please let us know if you have any other questions!